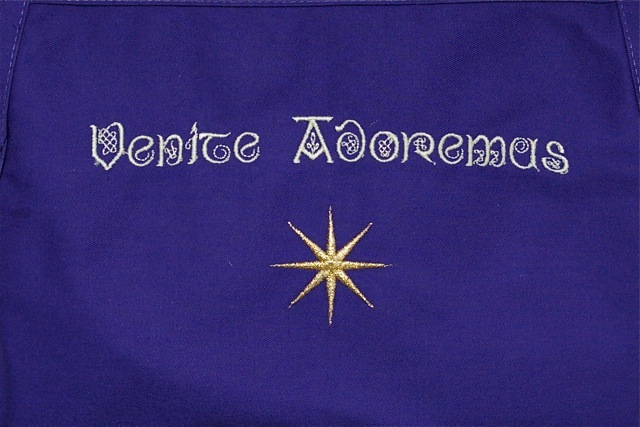 Venite Adoremus ~ An Apron for Advent! Catholic Embroidery has just launched a lovely new apron, just in time for the season of Advent! 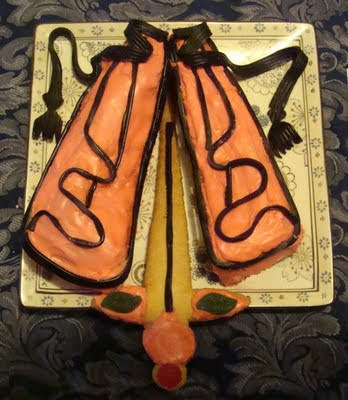 I've added it to our list of Catholic Aprons available to order right here at Catholic Cuisine. 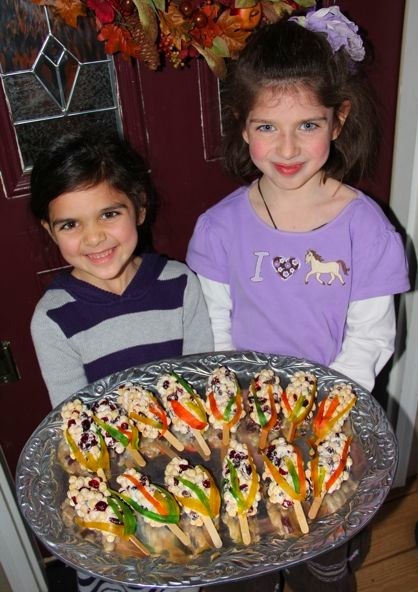 Yesterday afternoon my girls and I spent a little time in the kitchen making some Edible Indian Corn. What Thanksgiving Treats (or other favorite Thanksgiving recipes) have you been making this week? We'd love to see them! 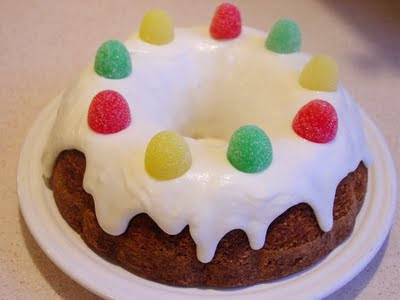 To celebrate today's feast of Christ the King, our family will be having chicken a la king for dinner. This is one of those recipes which are just perfect for a Fall evening. In a large skillet over medium low heat, cook butter until golden brown. Saute mushrooms until tender. Stir in flour until smooth. Slowly whisk in chicken broth, and cook until slightly thickened. Stir in heavy cream and turkey. Reduce heat to low, and cook until thickened. Season with salt and pepper. 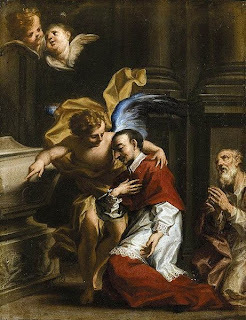 The memorial of St. Charles Borromeo is a very special one at our house. My husband and two oldest sons are alumni of our all-boys Catholic prep school named after St. Charles, and my youngest son is a student now. We always attend the feast day Mass celebrated by our bishop and it is a wonderful event which we look forward to annually. Saint Charles is the patron of seminarians, so remember to pray to him for your favorite seminarians, and even your own young men for which you might be praying for a vocation. Tonight we celebrated the feast with a special ending to dinner. A simple dish, but one to remember for its connection to this great saint. It would, of course, be great for any of our great saints, who happened to be cardinals. In a small saucepan, mix sugar and cornstarch. Add water slowly to incorporate. Place saucepan over medium heat and stir until mixture bubbles and sugar completely melts. Mixture should thicken slightly. Meanwhile, microwave berries for about 2 minutes until they soften up (alternately you could let them sit at room temp until soft). 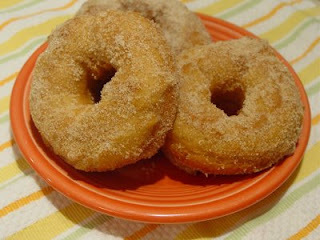 When sugar has melted add berries and cook until berries are cooked and mixture is thickened, about 3 to 5 minutes. Remove from heat and pour mixture into a blender or food processor (alternately you could leave mixture chunky). Process briefly just until mixture is smooth. You can strain mixture at this point to remove seeds, but we don't mind them. Place a few tablespoons of sauce in a pretty bowl or dish. Place a large scoop of strawberry ice cream on top and spoon another tablespoon of sauce on top. Serve immediately. "Since the 16th century Catholic piety has assigned entire months to special devotions. As a reminder of our duty to pray for the suffering faithful in Purgatory, the Church has dedicated the month of November to the Holy Souls. The Holy Souls are those who have died in the state of grace but who are not yet free from all punishment due to their unforgiven venial sins and all other sins already forgiven for which satisfaction is still to be made. They are certain of entering Heaven, but first they must suffer in Purgatory. The Holy Souls cannot help themselves because for them the night has come, when no man can work (John 9:4). It is our great privilege of brotherhood that we can shorten their time of separation from God by our prayers, good works, and, especially, the Holy Sacrifice of the Mass." Various Ideas can be found in the archives under the labels for her symbols: Lily, Crown and Heart. We give Thee thanks for all Thy benefits, O Almighty God, Who livest and reignest forever. And may the souls of the faithful departed, through the mercy of God, rest in peace. Amen. 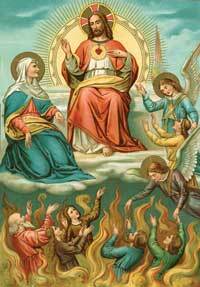 O Mother Most Merciful, Pray for the Souls in Purgatory! In honor of the feast of St. Martin de Porres, which is celebrated on November 3rd, Michaela from Filled with Joy shares this fun little recipe for Chocolate Mice! These would be a great treat to go along with the story of Saint Martin de Porres and the Mice and The Pied Piper of Peru, two of our favorite books on this great saint. 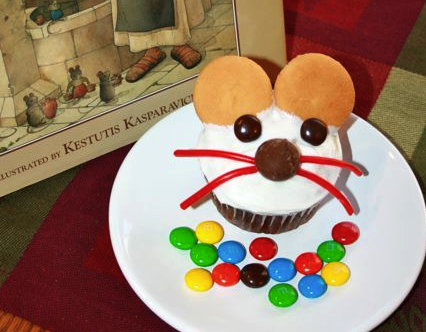 You can find other ideas for his feast in the archives! St. Martin de Porres showed love and kindness to all people and creatures. 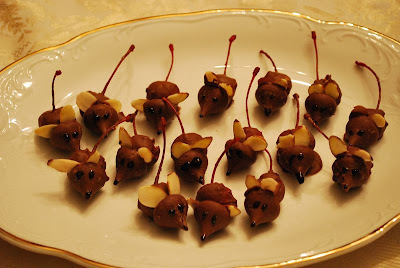 There is a tale of his kindness even to the mice that were eating the sacred linens in the sacristy. 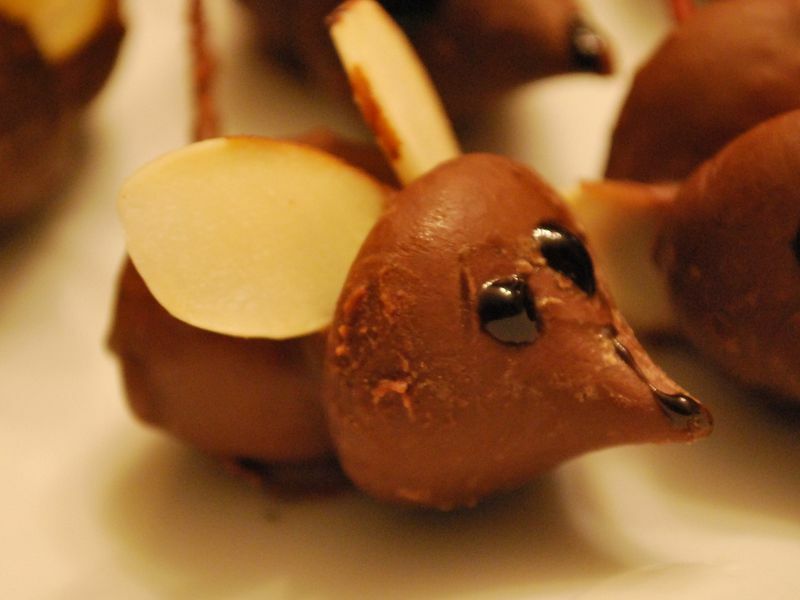 It inspired us to come up with this fun, absolutely adorable dessert. Simple enough my girls were able to assemble without help. 1. Cover cookie sheet with tin-foil. Rinse and drain cheeries. Pat dry with paper towels. Check for pits and remove if found. 2. Unwrap 2 Hershey Kisses for every mouse you plan to make. Place 1/2 in bowl, and reserve the other 1/2. Microwave the kisses in the bowl for about 45 seconds. Check to see if melting. You will probably need to put it back in for another 45 seconds. Once chocolate is almost melted, add a little oil. Stir and microwave for about 15 seconds. The oil will help the chocolate from becoming sticky. 3. Holding the cherry by the stem, roll into chocolate, fully coating. This will become the body. Push a Hershey kiss from the reserve pile onto the front of the cherry to make the head. Place on cookie sheet. The melted chocolate should hold the kiss onto the body. Continue until all cheeries are coated and have heads. 4. Cut the sliced almonds in 1/2. 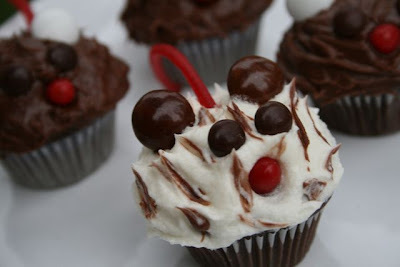 Place 2 almond halves onto the mouse between the Hershey kiss and the cherry to make the ears. 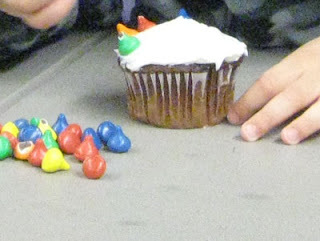 Make eyes and the nose with the icing. Place in fridge until chocolate hardens. Carefully removed from tin-foil and serve as you please. To you Saint Martin de Porres we prayerfully lift up our hearts filled with serene confidence and devotion. Mindful of your unbounded and helpful charity to all levels of society and also of your meekness and humility of heart, we offer our petitions to you. Pour out upon our families the precious gifts of your solicitous and generous intercession; show to the people of every race and every color the paths of unity and of justice; implore from our Father in heaven the coming of his kingdom, so that through mutual benevolence in God men may increase the fruits of grace and merit the rewards of eternal life. Amen.